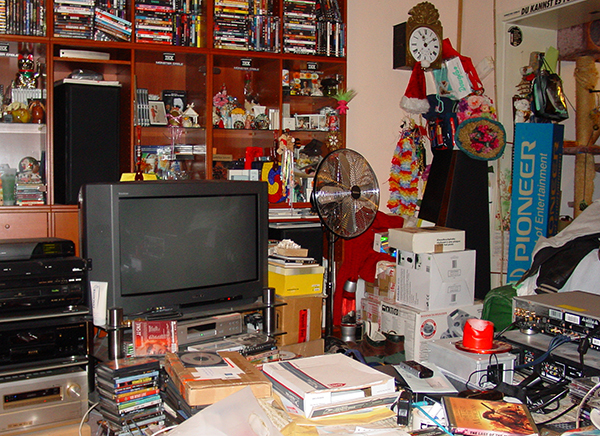 Hoarding can be a serious problem, especially when it damages health. The Anxiety and Depression Association of America has found myriad health risks associated with this rarely-talked-about issue, such as falls and bad air quality from dust and mildew. Mercy Housing actively supports residents with resources to help battle hoarding, so that our residents can maintain a safe and stable home. Our partner, Area Agency on Aging of Maricopa County, offers a 15-week support group — Too Many Treasures — designed to affirm, educate, and guide self-identified hoarders. The program is open to people 55 years of age and older. Glenn Whitaker is a Mercy Housing Resident Services Coordinator at a senior community in Gilbert, Arizona. During a quarterly inspection, he discovered that one resident was a hoarder. She truly wanted to stop, but didn’t know how. The situation was serious — an EMT’s gurney couldn’t enter the apartment in the event of an emergency, and hygiene was a growing concern. Glenn provided the resident with Too Many Treasure’s contact information, and the transformation began. The resident knew she had a problem and was thrilled to enroll. A year has passed since she’s been in the program.